A new study published in a recent issue of Obstetrics & Gynecology notes that “therapeutic” bed rest during pregnancy may be over-recommended, and may actually cause harm to both mother-to-be and her baby. 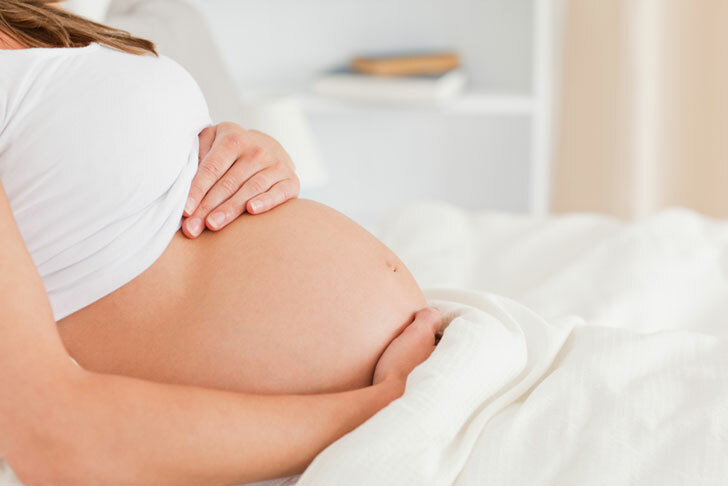 According to Obstetrics & Gynecology, as many as 95% of all obstetricians report that they’ve recommended bed rest or restricted activity for their patients, and about 20% of all pregnant women (800,000 a year) are prescribed bed rest. This new study reveals that putting pregnant women on bed rest should no longer be what the doctor orders. Researchers reported that almost 40% of the 646 pregnant women included in the study were ordered to restrict sexual, work and non-work activity. A whopping 37% of the women who followed these instructions had their baby prematurely, compared to 17% of the women who maintained their regular pattern of activity. While past research claims that women should be on bed rest for any number of reasons, including, high blood pressure, such as preeclampsia, and eclampsia, cervical changes, vaginal bleeding, premature labor, multiples, history of pregnancy loss, stillbirth, or premature birth, poor fetal development, gestational diabetes, placenta complications and more, newer research does not widely support this train of thought. Dr. Catherine Spong, a maternal-fetal medicine specialist at the National Institutes of Health and co-author of this study, along with her team, notes that bed rest may not help prevent preterm birth as previously thought, even when the mother-to-be follows her bed rest plan perfectly. The researchers also looked at the Cochrane reviews of bed rest which propose discontinuing the practice of too much bed rest and argues that “Bed rest is inconsistent with the ethical principles of autonomy, beneficence, and justice. Hence, if bed rest is to be used, it should be only within a formal clinical trial.” Long story short, if you’ve been prescribed bed rest, you may want to discuss it with your doctor or midwife to see if it’s truly warranted.